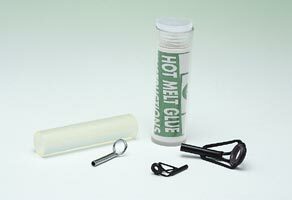 Hot Melt Glue will secure all types of tip rings and will allow easy repositioning and removal, if required. 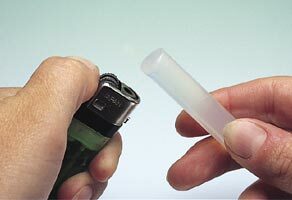 Melt the glue in a match or lighter flame. 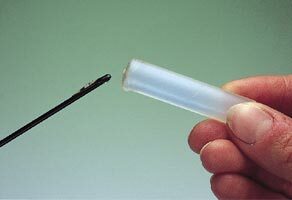 Apply the hot, melted glue to the rod tip. 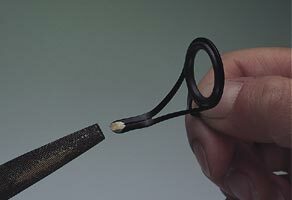 Before the glue cools, fit the tip ring and clean off excessive glue. 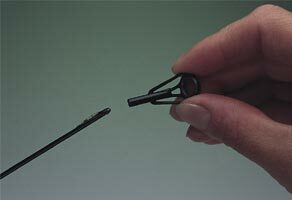 The feet of some rod guides may need filing down to facilitate whipping onto the rod blank.